Saying sorry is an art. We’ve all been there when something goes wrong. Your team doesn’t follow a procedure, or made a basic error. You slipped past a deadline. You’re not happy, the client’s not happy. Don’t mess about. You can and should say “I’m sorry that this happened”. You don’t have to take responsibility for the problem. Just say sorry. 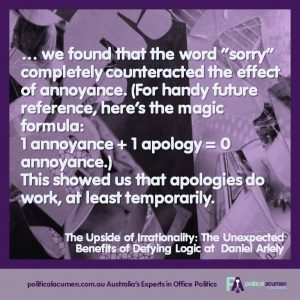 Saying sorry neutralises annoyance. 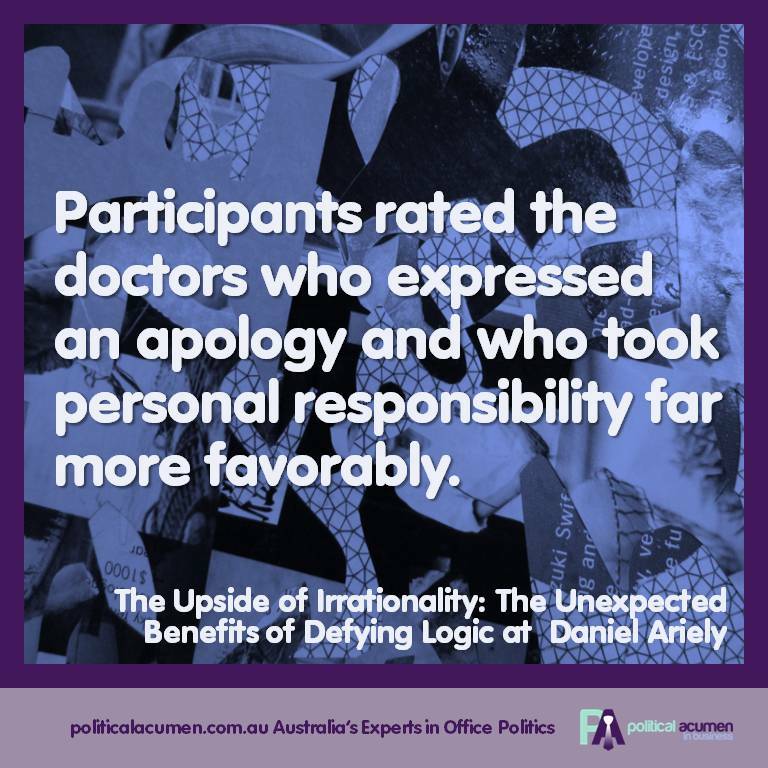 Doctors who say sorry when there has been a problem are sued less than those who don’t. There’s plenty from leading researchers like Dan Ariely to back this up. makes them vulnerable to another person’s emotional responses. Last year my good friend Rhonda died after a long illness. I went to her funeral; almost 100 people came to the church and the wake afterwards. It was a lovely sunny day and there were many tears. As at every wake, we talked about how much she had done for us and told stories about some of her, well, weird habits. When I was leaving I said to her husband “I’m so sorry”. These are words we all use in this situation. I wasn’t responsible for her death. I was showing that I regretted that it had happened, and that I empathised with the person it had affected the most. Saying sorry when things go wrong with a client is like this. Regardless of who caused it, it is regrettable that it happened. And you recognise and acknowledge that it has had a bad effect. Some people are afraid that if they say sorry they are making themselves vulnerable. They fear that it makes them look weak, or that it invites an angry response. That’s not true. Brene Brown’s work on vulnerability shows the opposite. Think about it: when people show vulnerability we describe them as courageous. Yet we see it as weakness in ourselves. 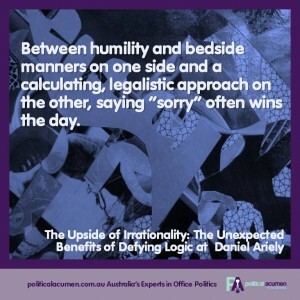 The openness and empathy of saying sorry actually shows we are so confident in ourselves that we are comfortable doing it. It shows strength of both character and competence. 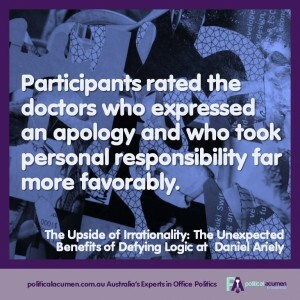 Unsurprisingly, there are good ways and bad ways to say sorry. Let’s stick to what makes a good ‘Sorry’. Different styles of people will be happier with different kinds of apologies. Seems obvious. This blog post outlines 6 types of apologies. Get to know them. Use them. Speaking directly and in plain English is easier to understand and has a stronger emotional effect. Leading thinker Dan Pink calls it speaking like a human. Say “Sorry”, don’t say “I apologise” or “my apologies”. Your aim is to connect, not sound like you’re reading a contract. I’ve outlined Pacing and Leading here, here and here. The idea is to state what is true for your listener several times first before saying what you want to say. It shows you understand their perspective and how they feel. Your listener is not interested in how you feel or who is to blame. They want to know that you know how they feel and how you will fix it. This is a Say Sorry Template that sets out the steps for successful sorry-saying. First and foremost, you must say sorry in person. If you cannot do it in person, do it by phone. Avoid at all costs saying sorry by email, but if you have to, make sure it’s about their problem, not about you. Choose 3 of these phrases (customised to your client) and then say “I am very sorry this happened”. “You will have a hard time because of this”. This is the apology after the pacing. It doesn’t mean you’re responsible, just that you regret it happened and that you empathise. Now, when you have paced 3 times and said sorry, you move on to solving the problem. Don’t explain, blame, deny or excuse, and don’t start a conversation about correct or incorrect facts. Feel free to ask as many questions as you need to determine what needs to happen next. Nike got it right. Don’t wait to fix it: do it now. 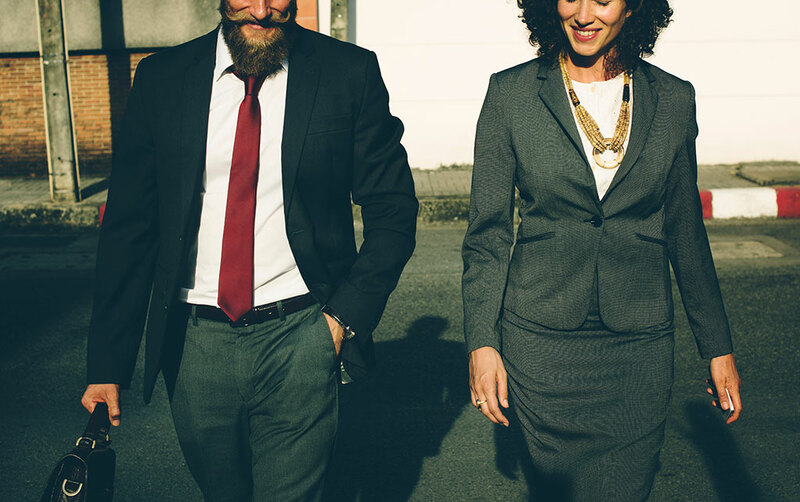 If you have to, work more closely than usual with your client to reassure them and rebuild confidence in you and your team. And this is one point where over-delivering may be a good idea. Here is Art Williams with his amazing Southern drawl telling you to just do it. If a fix is done in a forest and no one is around to hear it, does anyone know it’s fixed? Make sure to tell them what you’ve done. Confirm it addresses the problem and solves their need. And make it clear you have acted on whatever root cause was behind the problem in the first place. Even if it wasn’t under your control, show that you are trying to manage the risk. This Sorry template isn’t written in stone; like everything in human behaviour, it will need tweaking and updating and customising based on your experience. I’d love to hear about how you have used and changed the template – I’m always ready to learn more! Ordinary Conversation a foundation for good politics! It’s not just me: Are you doing these five things to get ahead at the office?